Good oral health isn’t just essential to keeping your teeth pearly white and looking great. Poor dental hygiene has been linked to dementia and even heart disease. There’s no need to panic though; as long as you follow my top five tips for taking care of your teeth, your smile and your health will look good and feel great. It’s important that you brush your teeth the right way. Unfortunately, many of my patients struggle with maintaining good brushing habits. You might be tempted to brush hard, fast, and in the wrong direction, but that can permanently damage the enamel on your teeth. You should brush your teeth for two minutes twice every day. Gently move the brush side-to-side at a 45-degree angle to your gums to remove any bacteria and debris that have accumulated during the day. Selecting a soft-bristled brush is usually the better option. You should use a pea-sized amount of fluoride toothpaste, but remember to replace your toothbrush every three months or when it looks worn and frayed. 2. Make flossing your teeth a priority. Brushing alone isn’t enough to keep your teeth clean and free from decay. Failure to remove food that’s trapped between your teeth can lead to gum disease. The easiest way to remove this debris is by flossing once a day using traditional floss or an inter-dental brush. It doesn’t really matter when you floss your teeth, although most people prefer to do it at night. As long as you floss once a day, it’s perfectly fine to choose a time that suits you best, and make sure it becomes a regular part of your oral health routine. 3. Rinse well with mouthwash. Using a dental rinse should never replace the brushing and flossing part of your oral health hygiene, but a good mouthwash can assist with keeping your teeth clean and free from decay. Studies have shown that a dental rinse can prevent cavities and reduce the chance of gum disease developing. Different dental rinses target different issues you may be experiencing with your teeth. Some mouthwashes contain fluoride to prevent cavities, while others will fight plaque or bad breath. Ask me which one you should be using the next time you visit me for your dental check-up, and I’ll be happy to advise on the right one for your oral health routine. 4. Have a healthy diet. Good oral cleaning is important to prevent sticky plaque from causing cavities in your teeth. So naturally, one of the best ways to keep your oral health in great shape is to cut down on the number of plaque-forming foods in your diet. It isn’t just about cutting down on the sugary snacks and drinks though. Many processed foods contain hidden sugars that can damage your teeth. Avoid between-meal snacks, drink water instead of soda and fruit juice, and have a balanced diet that represents all food groups to prevent your diet from damaging your smile. 5. Get regular dental cleanings. Visiting my dental hygienist regularly for thorough cleaning is the most effective way of keeping your oral health in optimal condition. No matter how well you take care of your teeth at home, plaque and tartar will accumulate naturally over time. Using a technique called “scaling” allows us to remove that debris from your teeth using a special dental device. 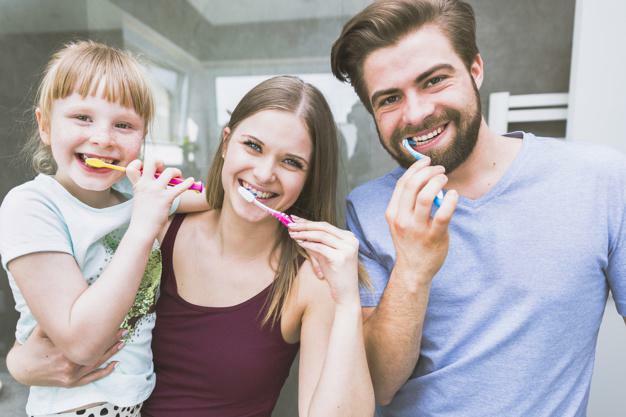 Once we’ve removed the plaque and tartar from your teeth, they’re ready for us to polish, which simply means using dental instruments to thoroughly clean and shine your teeth. Preventing the buildup of plaque is the best way of keeping your teeth and mouth in the best shape possible. Visiting me regularly at Emanuela Alexandroni, DDS for check-ups and teeth cleaning, along with taking good care of your teeth at home, is the best way to ensure your smile stays healthy and white for years to come. To schedule your appointment with us today, click the “request appointment” button, or call the clinic at 714-671-2922. Do your friends recoil in horror when you breathe on them? Don't worry, bad breath is incredibly common and the cause of yours may be easily solved. Read on to discover five common causes of halitosis. Oral health and hygiene are just as important as the pretty teeth you show the world. Dental implant procedures offer beauty and function by perfecting your smile and enhancing your health. 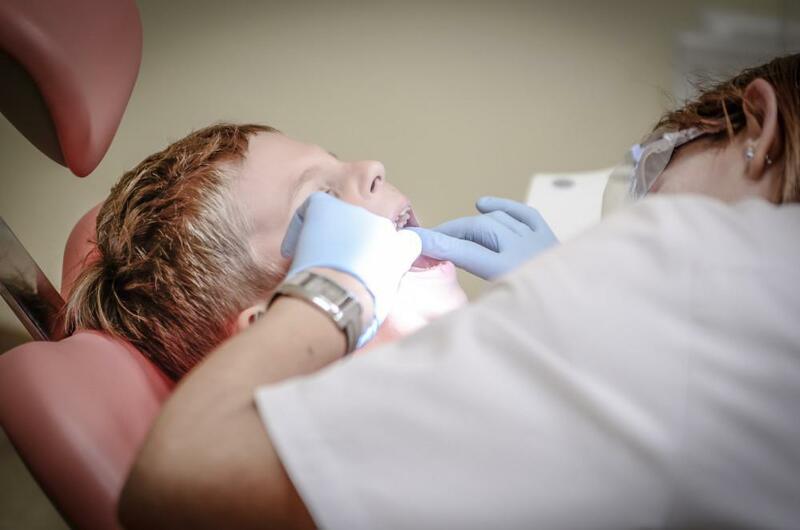 Your dental checkup is about so much more than cleaning and cavities. If you’ve made a resolution to take care of your teeth, and your overall health, schedule a dental checkup today. The way you care for your veneers can have a significant effect on how long they last. By following a few tips, you can preserve the longevity of your veneers to save money and spend less time in the dentist’s chair. 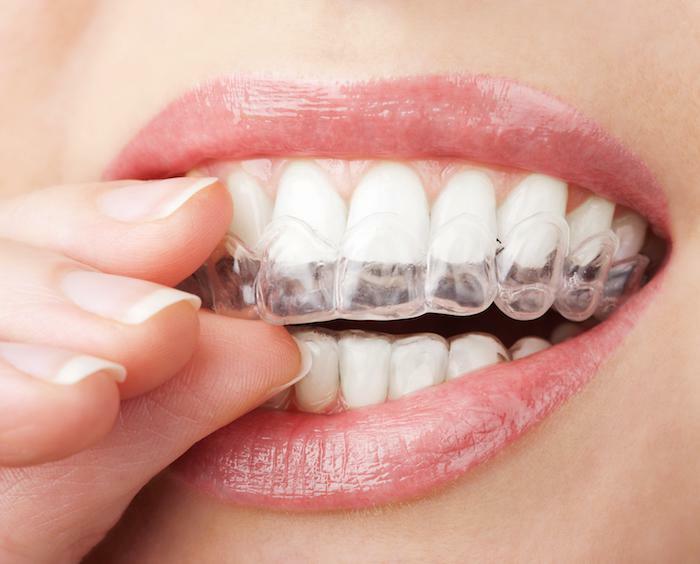 Unsure which teeth straightening system is the right one for you? 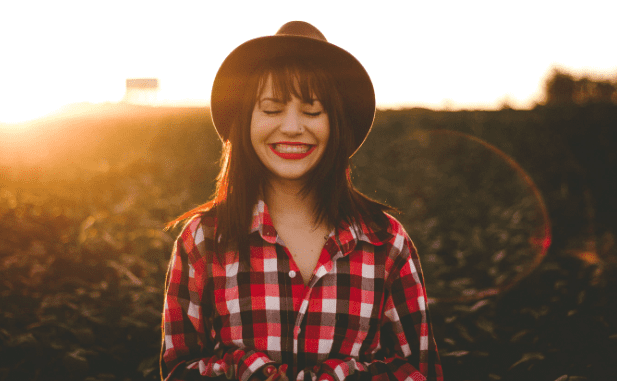 If you're stuck weighing the pros and cons of fixed braces versus Invisalign®, you should read on to discover why Invisalign aligners could be the better option for you. Did you know that over 15 million root canals are performed every year? Undergoing root canal treatment can save you bigger problems, such as tooth loss.